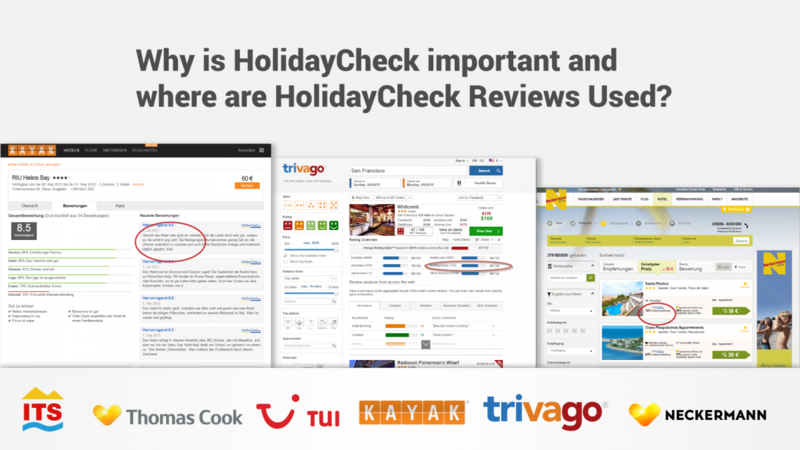 There is a simple answer – even if you don’t know it, your hotel’s ranking in Google and in the main meta-search websites Trivago and Kayak depend on HolidayCheck. To add even more to that, recently, Ryanair decided to use HolidayCheck as the single source of reputation for your hotel! 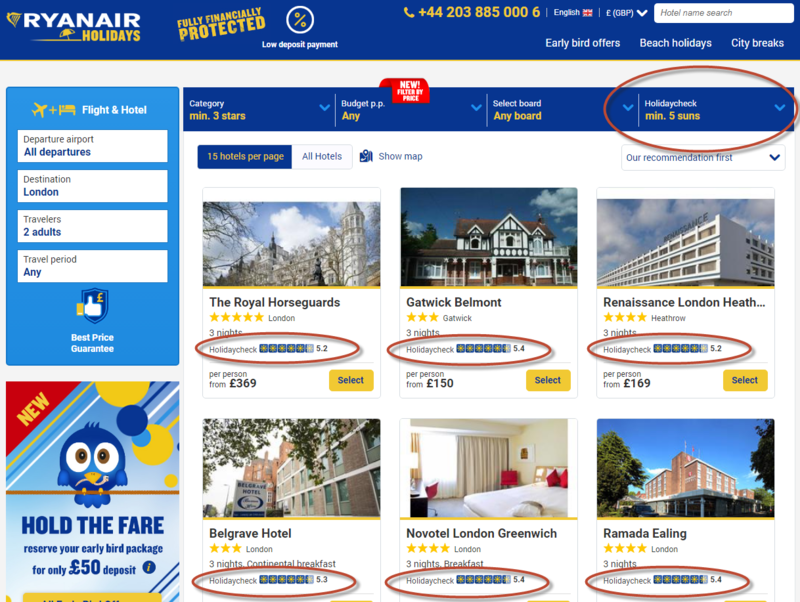 So not caring about HolidayCheck means not caring of your position in Google, Trivago, Kayak and Ryanair Holidays – sales channels that surely do affect almost every city hotel’s bottom line. Can you really afford that? I agree this may be a a big weird – why would the position of a city hotel in London depend on its rating in a website read and contributed by Germans?! Well, let’s see what really is HolidayCheck. HolidayCheck.de is the most visited and trusted travel portal in the German-speaking countries where users can easily find and book their perfect holiday and share their holiday experience. Being a meta-search and travel agent by itself HolidayCheck provides its reviews to almost all major German tour-operators. Famous for its review validation process, and acknowledged by hospitality industry, HolidayCheck can now be perceived as an authority of hotel quality and reputation. This poses a great window of opportunity to the first who spot and react on it. Here is an article explaining your best strategy – “Selling your rooms on Ryaniar?“. So simply because it is easy to control the process – step number one on your strategy list should be to get more reviews on HolidayCheck and Reputize has the right tools for this. And if you need proof that it works – here are examples. Want to try it in your hotel? Next Next post: How to sell your rooms with Ryanair?